First, you will belong to a network of supportive and insightful peers. In good and bad times we will be there for you. 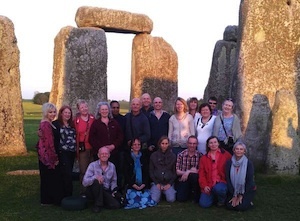 You will belong to an ongoing community of like-minded souls helping you to develop and deepen your spiritual practice. A recognised and trusted certificate, enabling professional career development, particularly in the fields of healthcare, education, human resources, leadership, community building and spiritual/pastoral care. As a member of the Spiritual Companions network further trainings and development opportunities are available to you. We have a regular programme of events only for Spiritual Companions, including webinars, retreats and visits to sacred sites. Being a Spiritual Companion enables you to support others on their spiritual journeys in both formal and informal settings. Being a benevolent presence wherever and whenever needed. We offer training so that you can confidently and competently facilitate small groups exploring personal and spiritual development. Find out what some of the Spiritual Companions have to say.